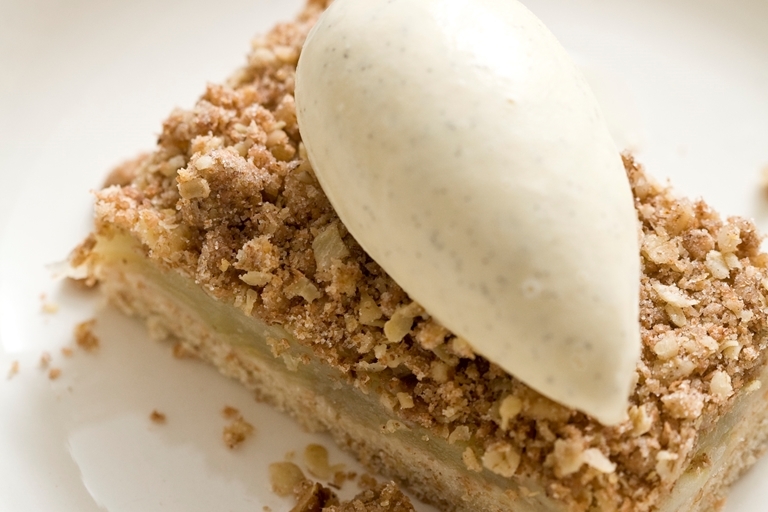 This spiced apple crumble recipe from Marcus Wareing features the beautiful combination of cinnamon, ginger and nutmeg in the crumble mix. The buttery shortbread base this crumble is served on is simple to make and matches the tartness of Granny Smith apples quite well. Serve the spiced apple crumble slice with ice cream, as shown here, or with custard, if you prefer.